Possibly in the universe. These are the most perfect pancakes I've ever had, and definitely the best ones we've ever made. I first heard of these while reading last month's Saveur. It was the issue with the Saveur 100. I was happily reading, and came to the article about the pancakes. And guess what? The restaurant is right here in NH! Ha! We could have gone to the restaurant to try some, I suppose, but the recipe was in the article, too. Happy, happy! We just got around to making them tonight for dinner. There's something fun about having breakfast for dinner, isn't there? And wow, are these delicious! They're very slightly crunchy on the outside, and extremely tender inside. Perfect. These are served at Robie's Country Store in Hooksett, NH. Who would've thought a country store would have amazing pancakes? It's a historical landmark and has been around since 1887. So, on to the recipe, as posted at Saveur.com. We doubled the recipe, because there are 6 of us. **For a printable version of this recipe, click here. 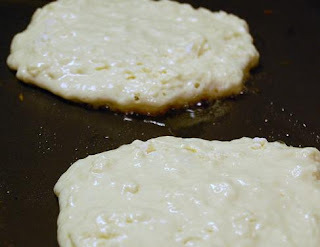 The terms pancake and flapjack are used interchangeably; the "flap" in the name refers to the sound the cake makes when it lands in the skillet once it's flipped. This recipe comes from Frank Elliott, the cook at Robie's Country Store & Deli. To achieve the flapjacks' signature crisp and browned edges, he cooks them one at a time in a hot, buttered nonstick skillet. 1. Put flour, sugar, baking powder, baking soda, and salt into a large bowl and whisk to combine; set aside. 3. Heat an 8" nonstick skillet over medium heat. Add 1 tbsp. butter and heat until the butter's foam subsides. 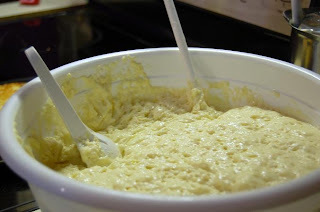 Ladle in about 1⁄2 cup of the batter. Cook the flapjack, turning once, until deep golden brown on both sides, about 5 minutes total. Transfer to a large plate; keep warm. Repeat process with additional butter and remaining batter to make 8 flapjacks in all. Serve hot, topped with butter and maple syrup and a dusting of confectioners' sugar. Pancakes are one of my favorite weekend breakfasts. These look good. Thank you, Kevin! I can finally stop searching for the best pancake recipe. whew, hehe! We love our pancakes and are always on the lookout for the best. 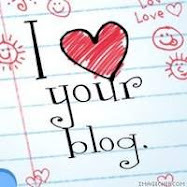 Thanks for sharing and for stopping by my blog! 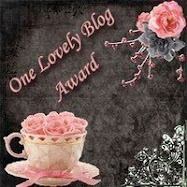 Thanks pixie, for stopping by my blog! These pancakes are truly delicious. 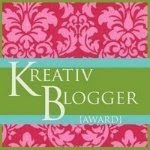 I'am sooo saving this recipe! Zen, this is yet another one you can use to get people to bend to your will. Like your Nutella! I just made pancakes the other day and decided that I was no longer happy with my recipe. I'll have to give these a try!! 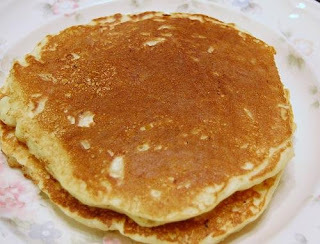 Deborah, I'm still thinking about these pancakes, days later, hehe. So good. We also threw a few frozen berries on the top of a few, before flipping them, and it was such a nice addition. Yum, Elle! These look so delicious...I don't make pancakes often enough. Thanks, Nikki. The kids love them, so we have them at least every couple of weeks. Elle, I am making a batch of these up today since we are expecting an ice storm overnight. I want things on hand that the kids can just eat up without heating up if necessary. These pancakes are my favorite after I include pecans. blfvs, I'm glad you like them! I thought I had the perfect pancake recipe but nope. These are awesome. landa, thank you! I've been searching for the best pancakes with absolutely no luck until I found these. I'm so glad you enjoy them! perhaps a cook-off is in order for the weekend! Thank you Shannon and Gemma! 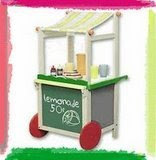 Gemma, a cook-off sounds like fun! Thank you so very much for sharing this Elle. I made a triple batch (I have six kiddos) and they were such a hit. My husband who prefers store bought mix (yuck!) loved them! Perfect yummy pancakes thanks to your time and effort sharing with others! Dianna, I'm so happy they were such a hit! I think that now I need to make some this weekend. It's been a while! Just made these this morning. Not only were they the best pancakes I have ever made (and I've made MANY different recipes), they were the best pancakes I've ever had (and I'm something of a pancake connoisseur). I made these for my boyfriend this morning after doing a search on Tastespotting...they were delicious!